Cruises are a popular travel option for singles, couples, families, and retirees alike, They offer a leisurely setting, abundant entertainment, and more to travelers at an often very affordable cost for a week or more getaway. Spring, TX residents to the Port of Galveston. This port serves as the departure point for Norwegian Cruise Lines, Princess Cruises, Carnival, Royal Caribbean, and Disney. MK Limo offers a cruise shuttle service to help expedite your vacation and make it a memorable adventure from start to finish. Our limos can deliver passengers to and from their port on time and in luxury. ​The day of departure can often be hectic, especially when traveling as a group or family. It takes immense coordination and oversight to ensure everyone is fully prepared and ready to go on time. Arranging transportation to comfortably accommodate larger groups, as well as luggage for the trip, can be challenging. The cruise shuttle service provided by MK Limo ensures passengers experience a less stressful trip to their respective cruise port. Our service is convenient, timely, and friendly. Our chauffeurs are happy to assist with baggage and offer assistance as needed to keep you calm and on track. Our luxurious vehicles supply you ample space for relaxation, as well as amenities to keep you entertained. It can be hard to set aside the time and money for an exotic vacation with your friends or family. Our cruise shuttle service helps you make the most of your vacation by providing luxurious and fun transportation to and from your port of departure. With timely and efficient service, your vacation will be sure to remain a stress-free period. We take care of all your transportation needs for maximum ease and convenience when it comes to planning and coordinating. MK Limo strives to deliver an unparalleled VIP experience to passengers in order to make this your dream vacation. MK Limo is the premier private group transportation option for Spring, TX vacationers in need of a convenient and comfortable cruise shuttle service. Our vast selection of luxury vehicles offers suitable solutions for all budgets, group sizes, and style preferences. 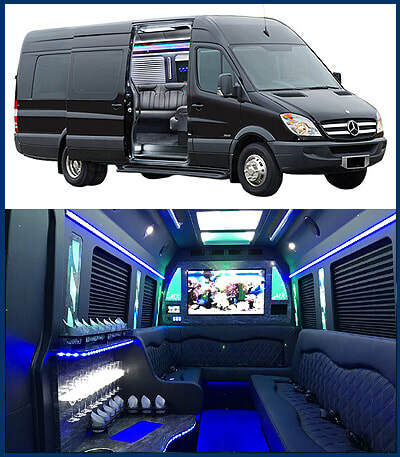 Couples can travel comfortably in our spacious town cars, while our party bus can easily accommodate groups of up to 25. Let us know what your needs are, and we will work with you to find the best cruise shuttle option for you. ​Spring, TX residents prefer our cruise shuttle service due to the reliability, convenience, flexibility, service, and luxury we provide to our clients. MK Limo offers a transportation service that alleviates many of the common concerns and worries that travelers experience when planning how to get to and from their cruise ship port in a punctual and efficient manner. Our professional limo service helps keep planning simple, and limits the number of things our passengers need to fret about during their vacation.